Google Search Console (which used to be called Google Webmaster Tools), yet another part of Google’s services and products, allows you to monitor and control the optimization and indexing of your website. Even though your site will be found on Google no matter what, Google Search Console enables you to understand how Google sees your site, which helps you optimize and improve its search result ranking. Your Google Search Console dashboard enables you to track your improvements over time and optimize your website consistently. Create your Google Search Console dashboard today! 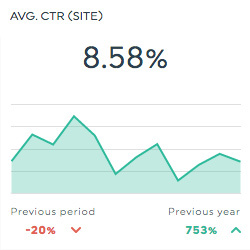 This historic widget shows your ad's CTR (click-through rate). It is calculated by dividing the number of Ad Clicks by the number of Impressions grouped by site. This list widget shows the Top Countries by the number of Clicks. This historic widget shows the number of Total Impressions on the page. 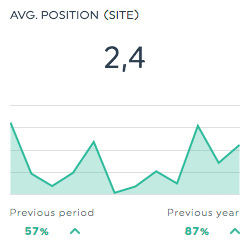 This historic widget shows your site position relative to those of other advertisers. Want to see all our Google Search Console preset widgets? 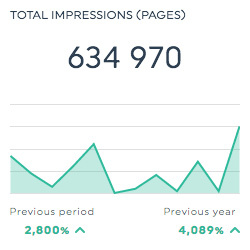 This shows the total number of your ad's impressions. This shows the percentage of ad impressions that resulted in a click. This shows your ad's position relative to those of other advertisers. This shows the total number of times users have clicked on your ad. This dimension allows you to isolate your data based on the country in which the session originated. This dimension allows you to isolate your data based on the type of device on which there was an ad impression. This dimension allows you to isolate your data based on the page visited, listed by URI. This dimension allows you to isolate your data based on the actual search query that triggered impressions. Want to see all our Google Search Console metrics, segments, & dimensions? How do I create reports and dashboards using the Google Search Console API?